Powerpac, have extensive experience in designing and commissioning Electrical installations, whether this involves modification of an exixting installation or designing and fitting from new. All our work complies with the latest electrical safety regulations. Our skilled team will ensure that your business not only looks and works efficiently, but also conforms to safety standards. As a business, whether big or small, safety is of the utmost importance. Being in the center of the country we are ideally placed to deliver a prompt and efficient service. We use fully qualified trades people and ensure that they have an eye for detail. All our employees are customer orientated to ensure that our clients are dealt with respect and courtesy at all times. At Powerpac, your electrical needs are our speciality. 70% of our work comes from client referals. We focus on providing a quality service using the best quality products. We have accreditations and quality systems in place to ensure your confidence. Eddie Stobart, Donnington Park Race Circuit, MIRA, Davidsons Homes, Go Plant, Pallex, TPN, Hill-Rom and DHL to name a few. We are able to offer impartial advice on leading products available on the market with the ability to deliver industry leading cutting edge technology solutions to your business. 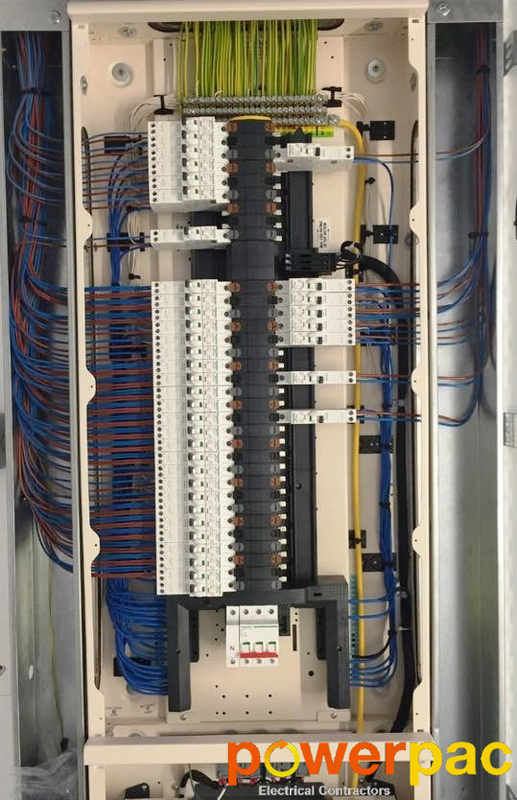 All your electrical design, installation and maintenance needs would be met with complete professionalism, here at Powerpac. We pride ourselves in ensuring your needs will be at the heart of everything we do. All our teams are multi-disciplined and are capable of delivering all the elements of complex service installations.